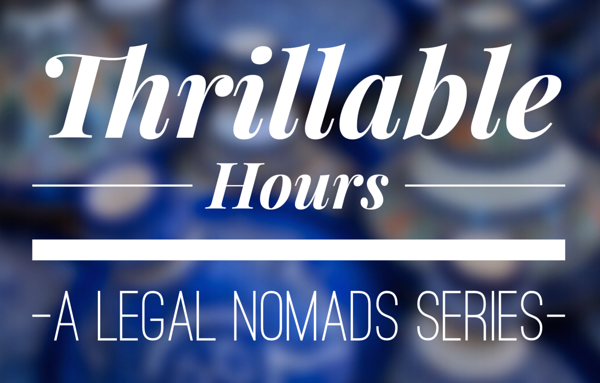 Welcome back to Thrillable Hours, my interview series about alternative careers for lawyers. One of the benefits of making Thailand my temporary home (over and above the cheap and delicious food) is meeting a diverse group of interesting people, lawyers among them. And within that great group is Christopher G. Moore, former lawyer and current crime novelist. Though we were only introduced through friends, he took the time to put together what I think is an excellent and inspiring interview. There are so many great quotes in here that I’m had to hold myself back from bolding and underlining the whole thing! At some point in everyone’s life, they wake up and figure out there is no one path in life. There are no typical lawyers, doctors, journalists, or bankers. Most people who go into a professional are largely drawn from the middle-class. But their motives, expectations and goals can differ greatly. For some, there is no separation between professional self and private self. That is changing. More lawyers are questioning whether the life of practice is really what they wanted to sign up for. novels. 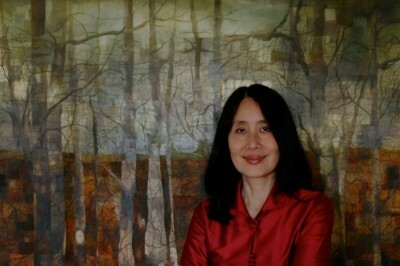 Twenty-three years and twenty-five books later, I am still in Thailand and working on several new book projects. While things have worked out, there was no guarantee in 1985 when I left teaching that writing books would have produced enough revenue to live. It was more like rolling the dice than a rational, logical decision. That isn’t a job. I don’t really have a ‘job’ in the sense of an office that demands my presence or a boss that I report to, or a monthly salary. What I find rewarding is the freedom to set my own hours, travel when and where I wish (for research of course), and to write books that draw upon my creative powers. My books are in 13 languages, and a Hollywood film option for the Vincent Calvino series, has freed me financially to define my work schedule and the nature of the work. That is a big reason why a lot of people wish to write. You owe no one else your time. You buy yourself the most precious commodity in the world: your own time. Once you have the time, though, comes the realization that without other people filling it for you, that you need reasons to get out of bed in the morning, and a way of proceeding through the day that makes you wonder how anyone could spare the time to work for someone else. We rationalize our lives. All of us do this everyday—lawyers and non-lawyers—and this comes easily to most of us. All we need to do is resort to the technique of confirmation bias. That is what we look for: information, stories, and images that confirm that our work lives, personal lives, and interior lives are finely tuned and other lives are pale by comparison. Deep down, we all have longings for another life, that secret life; the one floats into our minds as our conscious mind closes down just before sleep. Inside that ‘free zone’ we find ourselves wishing for something that is missing even if we can’t precisely articulate it. Fear is what keeps most people in a defensive position throughout their lives. One can’t discount that the world outside is not that friendly, and that once our status as ‘lawyer’ is shed, others think of us and treat us differently. That’s especially true if the ‘lawyer’ part is an essential part of the person’s identity. It isn’t just American or Canadian lawyers who submerge their sense of self with the billable person who goes to the office everyday. It is also true in Asia. From 1990 to 2004, I acted as an outside senior counsel on major corporate deals for a large Bangkok law firm. I’d work for six weeks on a deal. Then take the next couple of months to work on a book. I’d go on a ‘visa run’ to another country. Sometimes Cambodia or Laos, or Burma. Then I do another deal, then another book. A pattern emerged. I never had to go to an office or firm meetings. It was an unusual arrangement that fit the bill. Also, I liked the transaction work and I met lawyers from all over the world who were doing deals in Thailand. This was at a time of huge economic growth in Asia, and there was even more legal work when the big bust came in 1997. Sometimes I would have a heart-to-heart with one of them about their lives. And it always struck me that leaving their law practice was almost never about the money—though they raised this as a prime concern—it was far more about risk of failure in trying something new. Starting over again, whether it is a new relationship, learning a new language, adapting to a new culture, strains our mental, financial and physical resources. If your life is secure, you have most of what you want, and you have a family and friends, all of which, you believe, accepts the lawyer-you, and makes you fear they wouldn’t accept the non-lawyer you. So you stay put and surround yourself with others who have made the same decision. You have to test your connectedness to your present life against your passion for something that you conclude is worth breaking those bonds to do. Many lawyers don’t think of themselves as artistic. I disagree. The best lawyers are some of the most creative people that I know. They are generally speaking more creative, disciplined and hard-working than many writers that I’ve met. But let’s set aside the arts: your new life could go in any number of directions from teaching in a school in rural Nepal, to raising money for stateless kids in Vietnam, to bicycling around the world, to photographing a vanishing way of life in Peru, to producing a blog like Legal Nomads, which reaches out to other lawyers across the world with the most precious of all gifts: that a new, alternative life is always just a step away and all you need to do is reach out and take what is being offered. You should ask yourself what would you do with your time if you left the law practice? Not whether you can afford to leave. The money part is always going to give you the same answer: I don’t have enough money. 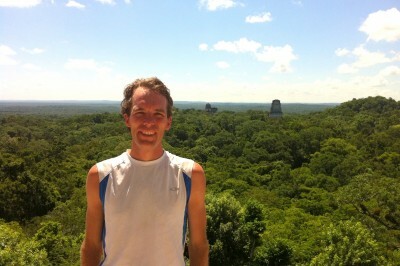 What is more appropriate to ask is whether I have the passion to pursue long-term a new activity. It doesn’t have to be writing or ‘artistic’. A lot of people don’t think they can make the transition. The question of expectations comes into play. Is your life what you expected it to be and do you have what you set out to achieve in life? If so, why change it? There is little glamour inside the lives of others who have taken a different path. They aren’t morally superior. But what they have done is overcome their fear of striking out to do something they feel makes their lives more enriching and satisfying. Sooner or later, we all come down to the end of our lives. When you look out that window for the last time, and run through the choices you’ve made about your life, before that curtain comes down, are you content to let go knowing you had the courage to live the life that you chose? I don’t think that I could have written a novel without a legal education. Law school teaches the techniques of research and due diligence. A legal education also teaches you how to discover patterns swallowed up in a vast quantity of information. That takes concentration, focus and discipline. No one emerges from law school and survives in a law firm without those skills. The thousands of cases that we read through our law school careers are mini-narratives about lives: we learn to see the fracture lines in those lives, how some lives are exploited, we learn a sense of social justice and fairness, and we evolve a way of shifting perspectives so as to understand the strength and weakness of both sides to a case. where I discuss the creative process in a bi-cultural setting. Living in another culture and learning the language opens a novel way of putting your own culture and language in perspective. And how we identify ‘self’ and what it means to be a ‘lawyer’ are cultural bound concepts. Sometime we need to step back and look at them in the way those on the outside see us. Once you can do that, you will never take the label ‘lawyer’ or the content of ‘self’ as some universal given. , the central character is a half-Jewish, half-Italian New York City lawyer who starts over as a private detective in Bangkok. 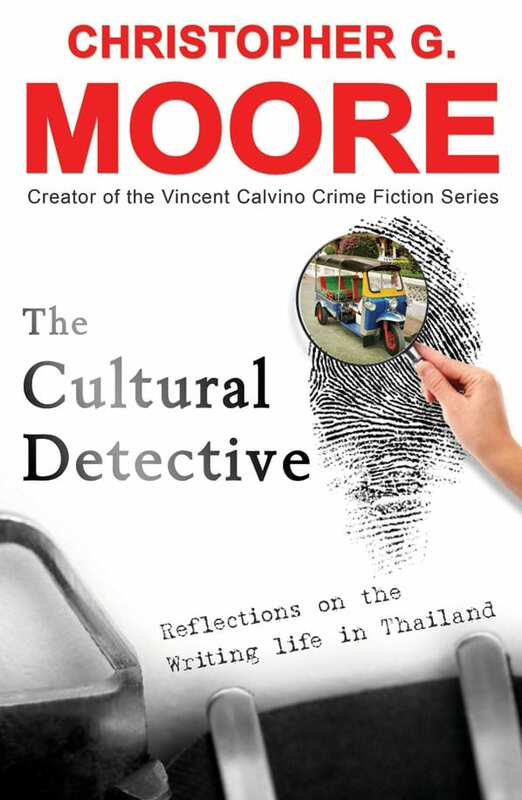 Calvino often refers to his prior life as a lawyer, and draws upon those skills in solving his client’s case whether in Bangkok, Phnom Penh or Saigon. The answer then isn’t that I or my alter-ego, Vincent Calvino, draws his identity from being lawyer, but constantly honors the fact that the skills required to write a novel or solve a murder mystery are owed to a fine legal education. The other value of a legal education is a heightened sensibility about social justice and fairness and how legal systems address these issues. In the realm of crime fiction, no one is better equipped than a lawyer to put these concerns into a larger perspective. My way of measuring time isn’t so much years but in terms of books. I figure I have another 10 books or so before I get the chance to look out that window one last time and asked if anything I chose to do in this life made any sense. Whether any of the books might have given a few people a different perspective on their own lives, and one or two of them hit the road of personal discovery as a result. To me that will have been a life well-lived. People who can’t have fun cut across all classes and professions. I can’t say why anyone would single out lawyers as a group. We are too diverse for such a generalization. People who don’t have fun share one common characteristic: the fear of being laughed at, of looking like a fool. In reality, no one is looking. No one really cares, and those who do will cut you slack. Kick back, take a chance or two, play for play’s sake. If you always wanted to play the guitar or paint or dance, you’ll never have a better chance than you have to today to check out of the office early. Don’t make the mistake of reserving play for tomorrow. The best part of your life can never be billed. And remember, you never need to explain or justify the pure joy of doing something that only returns happiness as exchange currency. That’s a good life, one that everyone of us should strive for. 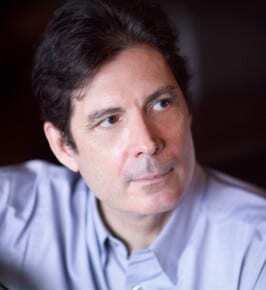 Christopher G. Moore is a Canadian writer who once taught law at the University of British Columbia. 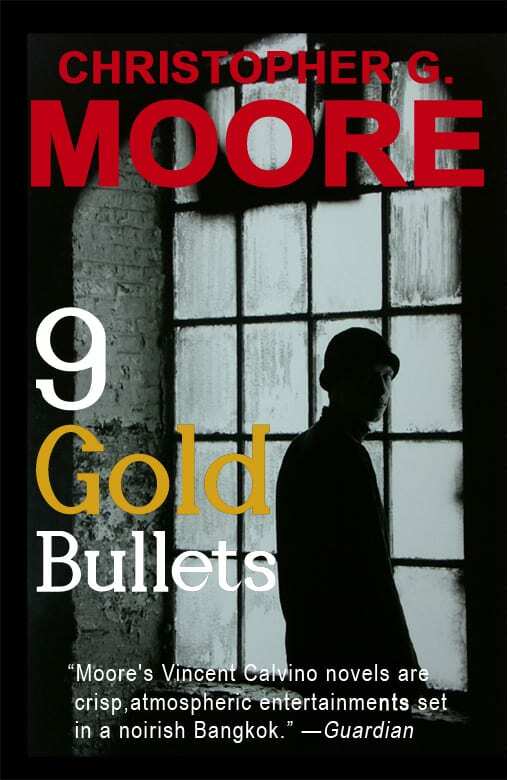 After his first book His Lordship’s Arsenal was published in New York to a critical acclaim in 1985, Moore became a full-time writer and has so far written 23 novels, a non-fiction and one collection of inter-locked short stories. You can connect with him on his personal blog, via Twitter and can buy his books via his Amazon Kindle store. “The best part of your life can never be billed.” I love that quote, and so many of the other great quotes in here! As a lawyer myself trying to transition out of the practice of law, I really enjoyed this article. Sometimes I get these moments where I feel guilty about leaving the law or telling myself that I “should” continue practicing, and then I come back to the realization that being a lawyer is only a part of who I am. So I like how Moore talks about the personal and professional identity, and about overcoming that fear to seek a different path. Jodi, thanks for another inspirational article! I have not read one of his books but I will be looking into it as this is one of my favorite genres! Thanks for a great interview and introduction. Wow. This might be the best one yet. Answers apply well to non-lawyers as well, especially the bit about confirmation bias and rationalizing our position in life. Also love the answer to the last question! “No one really cares, and those who do will cut you slack.” So true. GotPassport & Irene: Thanks for taking time to read my answers and replying. It is in making connections with others that I find out how many really interesting and thoughtful people there are if you are willing to invest the time to find them. Debbie: You might want to start with 9 Gold Bullets. It is the latest in the Calvino series, and then work your way back. But then I always start reading the Economist from the back and work my way to the front. Another thought provoking interview in the series, Jodi and Christopher. What resonates with me is that dark corner called ‘fear’. It is staggering how that concept freezes us into repetitive patterns and stagnant lives. As Christopher said, the inkling that something is missing becomes an itch that is rarely scratched. One thing I learned from entrepreneurs is how they factor in risk on a new venture. Gambling is part of what they do. Failure is not viewed as earth shattering, but an instructive lesson if everything comes crashing down. Delving into the writing world obviously had potential risk for you, but it’s apparent that joy in creating and that return as @GotPassport pointed out, amounted to reasonable risk and immense gains for you. That’s worth more than any hard currency. Agree on the wisdom. Do you do public speaking events unrelated to book tour duties? 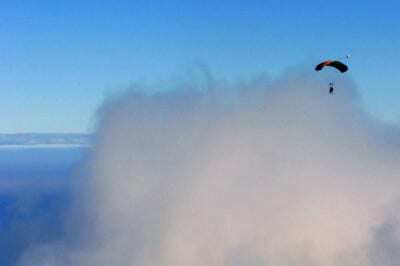 Nomadic Chick: Fear isn’t necessarily a bad thing. It’s is a powerful operating program that runs in the back of our mind everyday. We need to be mindful when it starts flashing fight or run. If it is a hungry predator, fear is the correct response. Run. The problem this system adapts to patterns of modern life in a way that makes us miserable. Leaving a law practice to do something else is staring a lion in the face for many. But as Roy pointed out in his comment, decisions such as leaving practices are rarely irreversible. You can go back to law if after reflection that is the path you’ve found once you decide another way isn’t really wanted you wanted after all. But at least you’ve put that possibility to the test. And isn’t that an important part of living? Knowing you don’t have regrets for the choices you’ve made. I have spoken about these type of personal and professional issues before and hopefully will do so again. I love the give and take with an audience where people share their experiences. Wow. This article is amazing. I have to agree on the number of great quotes in there…It is very inspirationnal. Although my path is different (I switch from another career to follow my dream to become a lawyer), that interview touched me a lot. It can apply to anybody who’s searching for what is missing in his professional or personnal life.